How can I look far ahead in the new Genie GUI? DIRECTV has about 1000 channels and that’s a lot to page through. You can see about two hours of programs, but what if you need to see more? A lot of people thought this option went away with the new Genie GUI but it’s still there. First of all you can easily jump to a date and time directly using the remote. You don’t have to keep pressing the right arrow button over and over again. They don’t make this option easy to find, though. 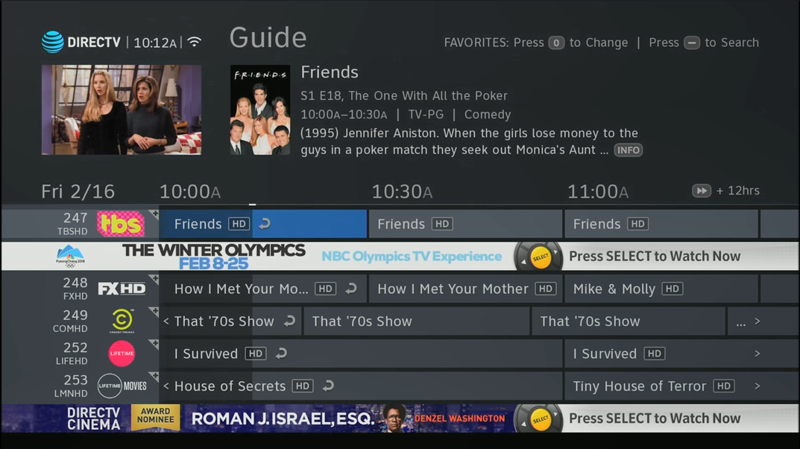 Press the “zero” button on the remote and you’ll get a menu like the one you see at the top of this article. From here you can arrow down to “Jump to a Date and Time” and get where you need to go. When you’re done, press EXIT which will return you to live TV. If you’re close to where you need to be, you can press the FAST-FORWARD button to jump ahead 12 hours. If you’re more than 12 hours in the future you can press the REWIND button to go back 12 hours. If you need to go slow..
Of course you can use the right and left arrows to go forward and back in half hour increments. You may have also been used to using the DASH button (to the left of the zero) to get to that menu. 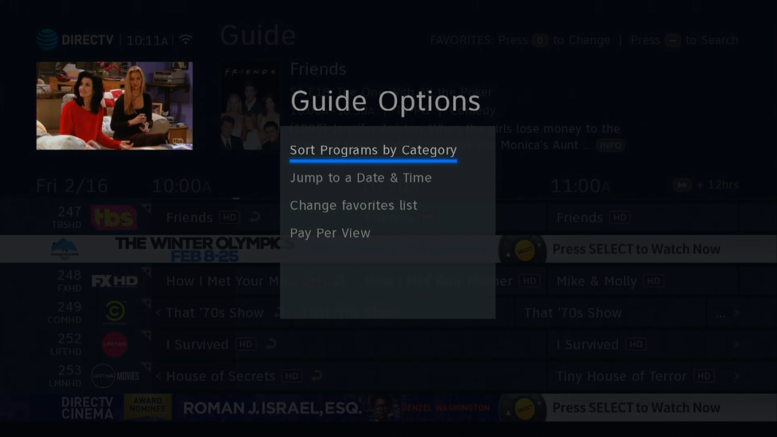 DASH now takes you to search, everywhere in the DIRECTV menu system. That’s why “zero” was assigned to this new purpose. Which is better, Netflix 4K or DIRECTV 4K? DIRECTV to add 8 new channels!